Like it or not, networking is essential in today’s business environment if you want to continue to grow your career and build strong relationships for the future. It’s not enough to have the core expertise – or hard skills – required in your industry. Employers need strong conversationalists. In fact, LinkedIn’s latest research, The Most In-Demand Hard and Soft Skills of 2019 and 2018 Workplace Learning Report, listed communication and collaboration as some of the top soft skills employers are looking for. These talents can be hard to find, which make them valuable skills to develop and master. 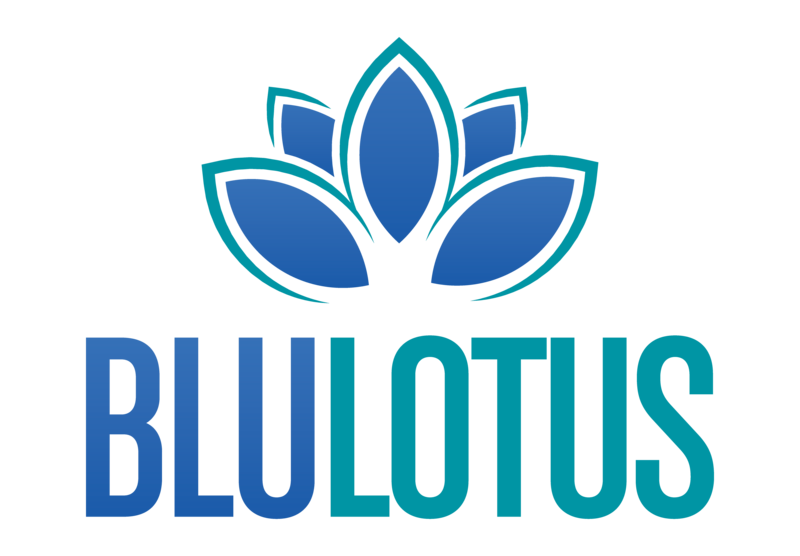 Utilize these tips from Blu Lotus President Sabrina Ram to improve your communication and networking skills. 1. Practice makes perfect. You’ve heard it time and again, but it really does work. Regularly strike up conversations with people you feel comfortable with, such as a good friend or family member, and keep track of where the conversation has an awkward pause or end. Those are the areas you’ll need to work on. 2. Listen with intent and take interest. Often times, conversations fall flat because a person is only interested in their anecdotes or are already crafting their response before the person has finished speaking. Communicating is about talking and listening. Listen with intent to what another person has to say and provide them with your undivided attention. Don’t be afraid to ask them questions. It can help spur the conversation in a fruitful path. 3. Pay attention. Each person is unique and usually has some way of telling or showing you what their interests are. Your colleague could be displaying their favorite sports team on their desk. A person might have a picture of their children or pet as their phone’s wallpaper. You might notice someone has excellent taste in shoes. Use those tidbits to strike up a casual conversation. 4. Parlay the topic with personal experiences. Take the tail-end of a conversation and use it to strike up a new direction. Most people use the weather as a small talk starter, and the conversation dies just as quickly as it started. When people mention it’s cold outside, I expand on it by mentioning my experience with the blizzard of 1992. This always extends the conversation because people naturally feel inclined to share their own experiences, which can also be used to spur a new direction. If they provide an example about weather in their hometown, I might ask if they are a fan of their local NFL or NBA team. 5. Step out of your comfort zone with a positive mindset. Actively put yourself in situations where small talk is inevitable and focus on how you are going to meet interesting new people. You’ll learn the most in uncomfortable environments but will sink if you approach it with a negative mindset. 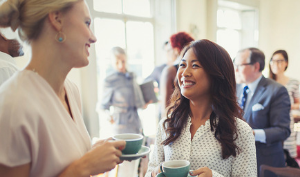 Networking and alumni events are a perfect venue to improve your conversation skills. You’ll feel comfortable networking with people in a similar industry as you or from the same school, which will make a great starting point for casual conversations.